How to reverse around a corner (to the left). 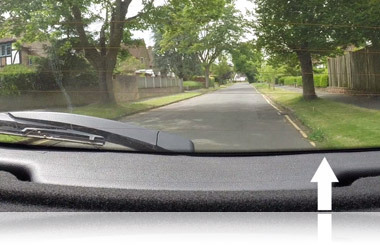 The object of the reverse around a corner manoeuvre is to reverse into a side road keeping reasonably close to the kerb whilst observing for all other road users. But why would you ever want to reverse into a side road anyway? Well it's another way to turn the car around. The theory is that once you've reversed into the road, you could then drive off back the way that you came. This manoeuvre is not part of the driving test. Read on below as we will explain how to do this manoeuvre. Video on how to reverse around a corner. Step-by-step guide to reversing around a corner. 1. Stop on the left in a safe place before the road that they want you to reverse into. 2. You would then slowly drive past the road that you're going to reverse into. Look into the road that you're going to use to make sure that's clear for about 3 car lengths (If there's any parked cars then you won't be able to do the manoeuvre). 3. Stop on the left after the road in a safe, convenient place as you normally would. 4. Like all manoeuvres, there are different ways to do it. Although, there is no set method on how to do it as every corner that you reverse around will be different. They could vary from very sharp to very gradual and your steering has to follow it round. In some cars you can see the kerb in the backside window behind the passenger seat, but some people can't see this very well. 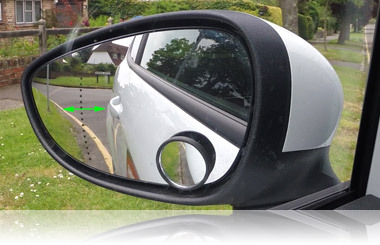 To make it a bit easier, you could move the left hand door mirror down slightly to get a good view of the kerb. You can do this on your driving test too, but make sure that you don't just stare at it. 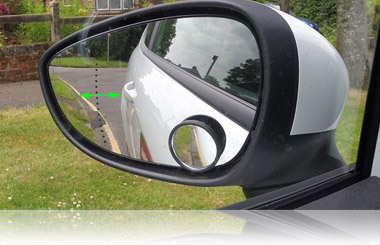 You will have to check around the car continuously as you reverse, stopping for any other road users (especially looking out for pedestrians and cyclists). 5. 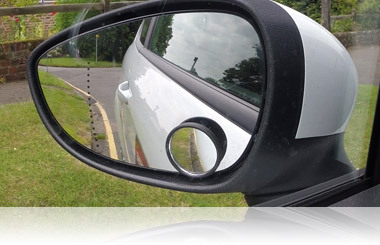 Once you've observed all around the car, (including your blind spot and back window) reverse slowly until you see the gap between the kerb and the door handle in the mirror start to widen. Stop as soon as it does start to widen. This is your point of turn (when you need to start steering left). Before turning apply the handbrake, observe all around again as the front of the car will swing out here as soon as you turn. 6. Continue to reverse once it's safe, immediately steering left. How much to steer depends on the bend and what you see in the mirror. If the gap between the car and kerb starts to widen then steer left. If the gap between the car and the kerb starts to narrow then steer right. It's very important to keep observing around as you do this manoeuvre, stopping if anyone approaches you. 7. You'll eventually start to see the kerb in the back window. This is when you know that you're almost round the corner. Get ready to straighten the front wheels as soon as you're around the corner and parallel with the kerb. 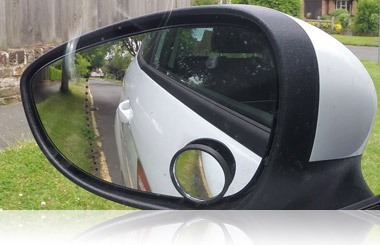 You'll see this again in the mirror and out of the back window when the kerb is near the centre of it. Once your car is straight and your front wheels are straight, slowly reverse, steering very slight amounts if you need adjust your car. Be careful not to steer too much when reversing in a straight line (as long as the road is straight) as this could make you drive wiggly. It's VERY important to make sure that you're observing around a lot as you do this manoeuvre. Do not just stare at one place. Hope this little guide helps. Don't forget to check our guides on the other manoeuvres. 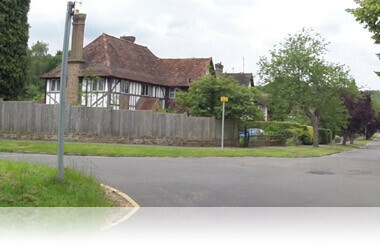 Watch Jo do this manoeure on her driving test. Read about the other manoeuvres here including the 'turn in the road', 'parallel parking', 'reversing around a corner' and the 'emergency stop'.